Posted on February 8, 2019 at 4:51 pm. In pan over medium heat, break up sausage to smaller pieces and cook all the way through. Drain any excess oils and set aside. Preheat oven to 350 degrees. Brush bread slices lightly with olive oil, place on lined baking pan and toast bread slices for 5-7 minutes. Take out of the oven and set aside. Drain sun tomatoes and dice into smaller pieces. Damp pieces with napkin to get rid of excess liquid. Toss tomatoes, 1 tsp of olive oil, goat cheese crumbles and sausage until well combined. Season with salt and pepper as needed. 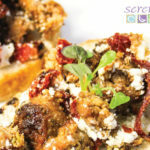 Top crostini bread with spoonful of sausage mix. 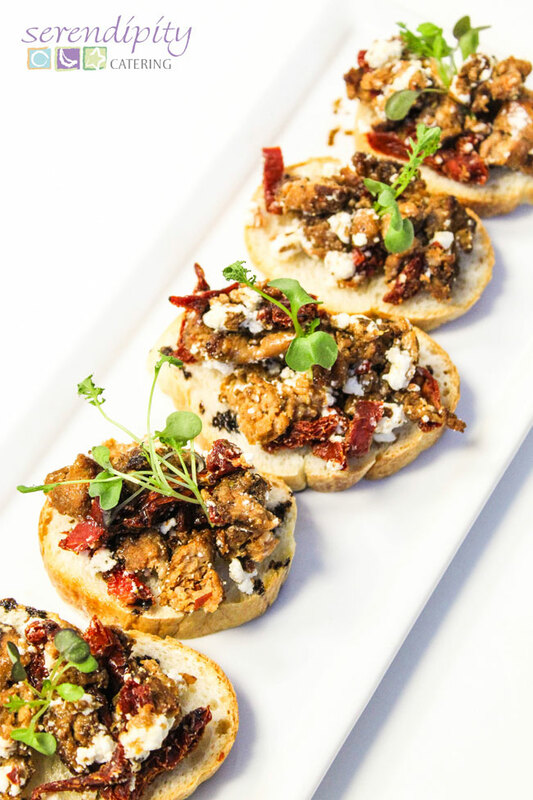 Garnish with a microgreens or fresh basil and lightly drizzle balsamic reduction on top.